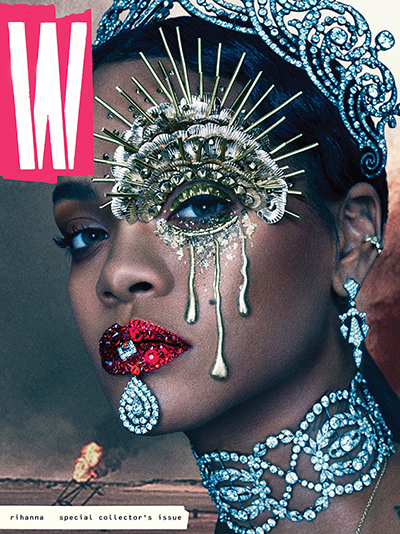 Rihanna wearing Jacique Aiche ear band with Cartier diamonds and other jewels on the cover of W.
From the first moment she landed on the Billboard charts, RhiRhi’s layers of jewelry have included pieces from Jacique Aiche. Years ago Rhianna was the first pop star to put on one of the jewelry designer’s body chains and she hasn’t stopped wearing them. If she isn’t wearing a body chain, there is almost always something else from the California designer on her bod. A cool Jacquie Aiche ear band set with cabochon shaped stones has been in heavy rotation among Rihanna’s summer jewels. 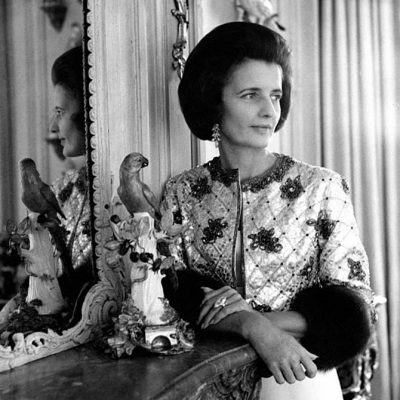 It can even be seen among the vintage Cartier Heritage designs she wore on the stunning September issue of W magazine photographed by Steven Klein and styled by Edward Enninful. The amazing jewelry image makes it one of the most glorious and memorable covers focused on jewelry ever published. 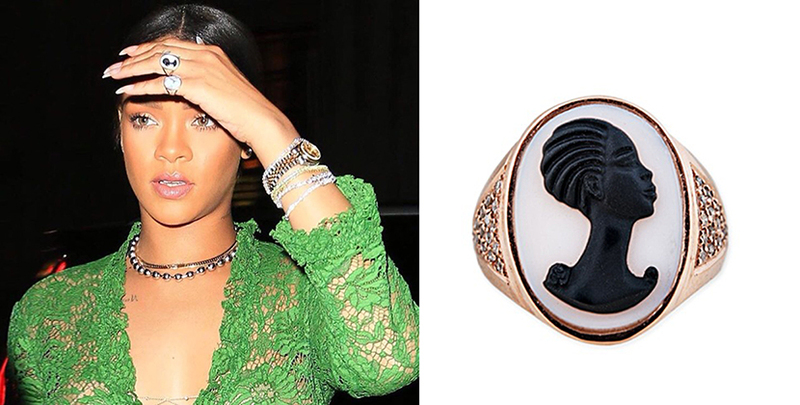 Yet of all the jewels Rihanna has worn during the summer perhaps the most surprising is her Jacquie Aiche black and white carved cameo ring. 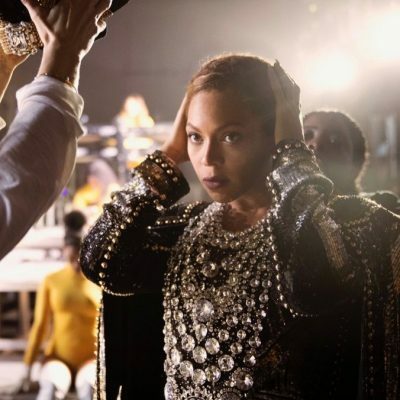 While it seems remarkable to see Rihanna wearing such a traditional form and indeed for Jacquie to create one, the designer explains it was a perfectly logical, “I always produce pieces that have meaning and connections such as my crystals or Blesslevs. Similarly, cameos were sentimental keepsakes that needed to be reintroduced in a modern way.” The one Rihanna wears most often was designed with her in mind. Jacquie named it Robyn for Rhianna’s first name. The way she has worn the piece proves, as if any more proof were needed, with everything from a Star Trek t-shirt to a Gucci dress Rihanna is an iconoclast.